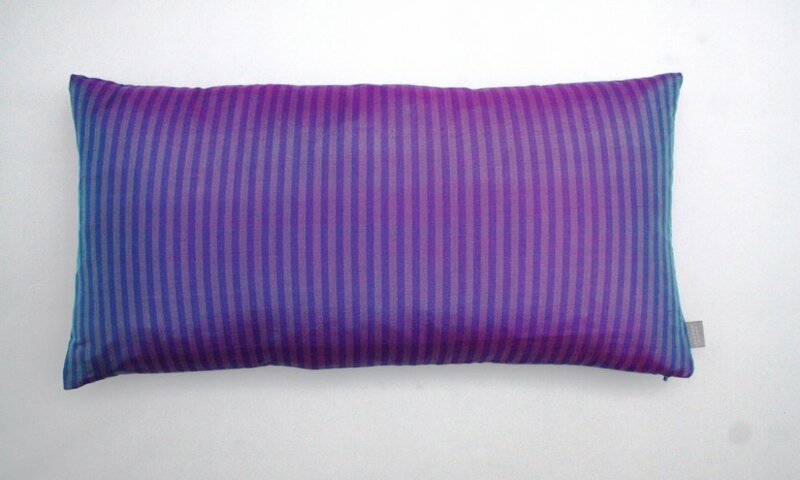 30cm by 60cm silk saree cushion with concealed zip, feather pad and brand label. 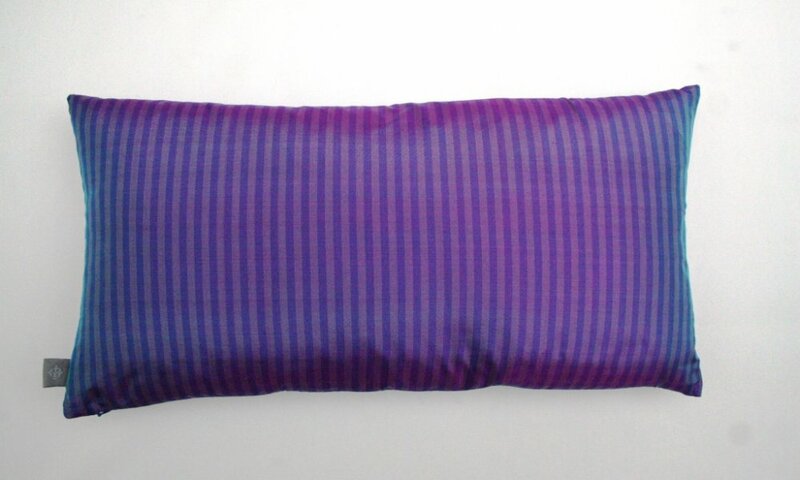 Please note that due to the delicate nature of silk this cushion is dry clean only. Limited edition colourway.